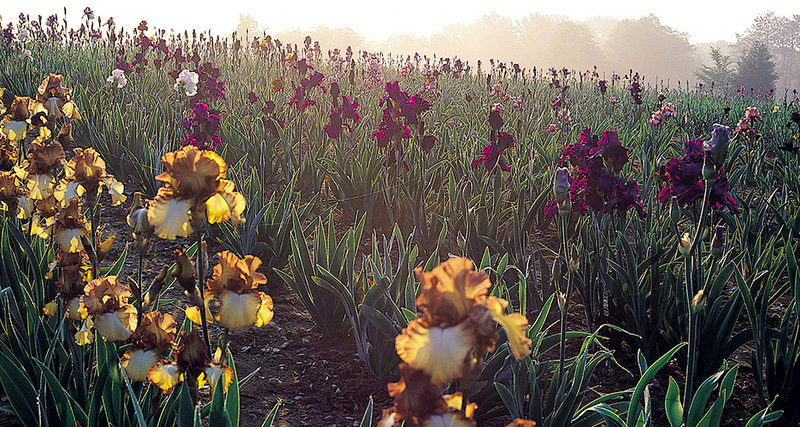 Irises are a particular passion for us at Woottens. We grow over 3 acres of Bearded Iris, Iris sibirica and Iris spuria as well as over 30 other species in pots. 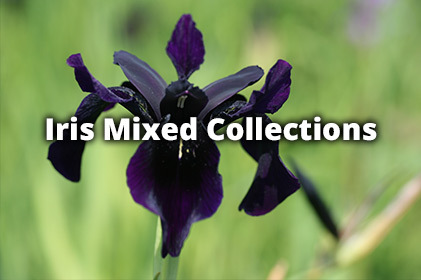 Michael Loftus began his collection of Bearded Iris over 20 years ago with many modern introductions including fabulous creations from Schreiners Nursery in Oregon but also a rare collection of historic varieties. 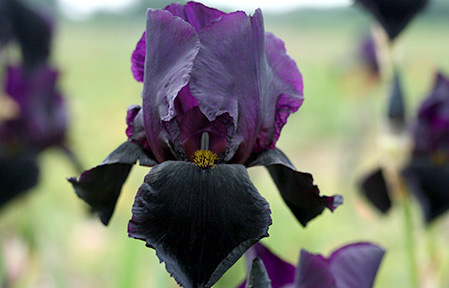 Over the years Woottens have begun to favour the elegant form and sweet scent of these classic bearded Irises and our collection has evolved to include over 200 different varieties of historic Irises. 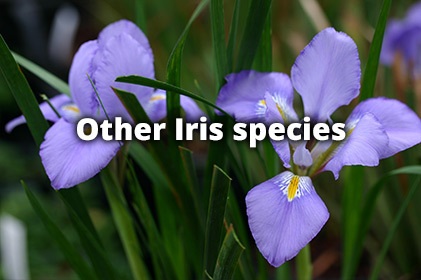 The Iris genus includes over 300 different species these are split into two main groups that we can grow in the UK– Bulbous Irises and Rhizomatous Irises. Within these two groups there are many more categories, at Woottens we grow over 30 different species spread over the two groups, most of these can be seen in the table below in their retrospective groups. 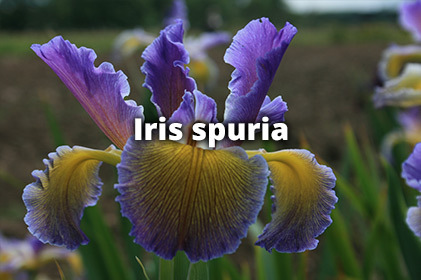 As the name denotes a Bulbous Iris has a ‘bulb’ which is a set of modified leaves designed to be a storage organ for food. 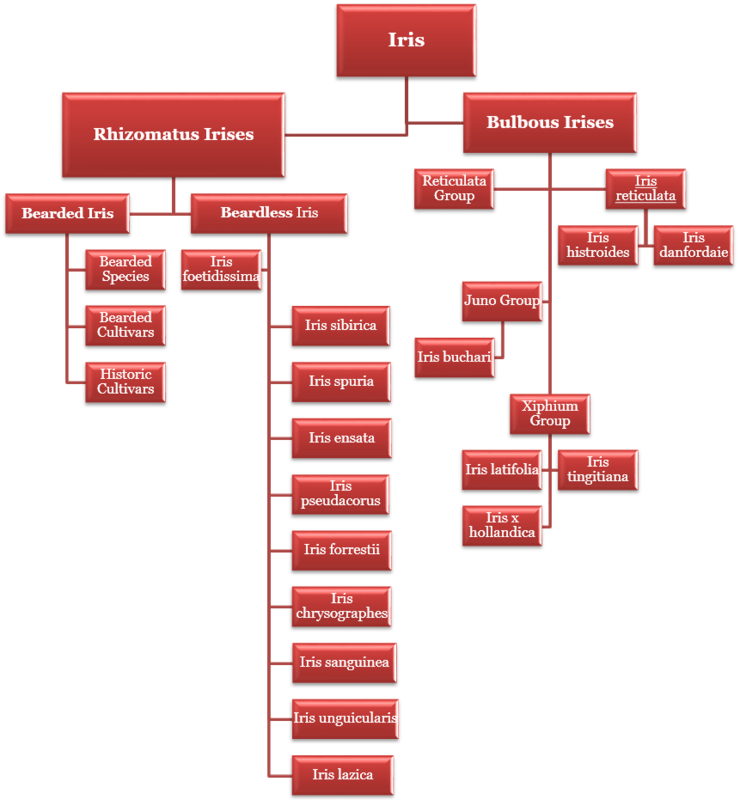 Whereas a Rhizomatous Iris has a ‘rhizome’ which is a modified stem, again designed to store the plants food. 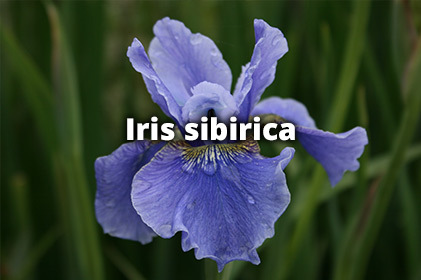 The Iris flower has 3 upper petals are known as ‘standards’, 3 lower petals known as ‘falls’ and 3 inner petals known as ‘style arms’. 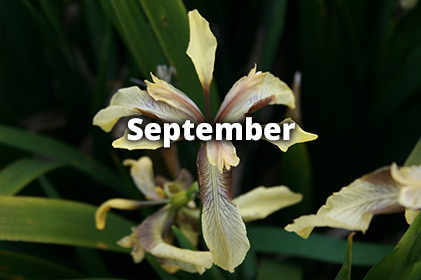 Each fall as a marking at the top called a beard, or in ‘beardless Irises’ this is called a ‘signal’ – it is said to be an indicator to pollinating insects as to where to find the pollen. Within different species the size of petals varies. 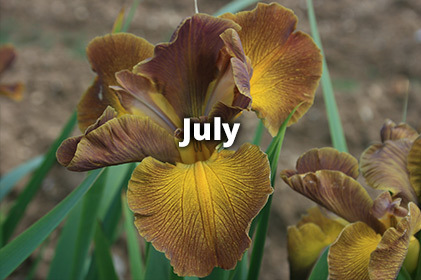 For example, on a typical Bearded Iris the standards are tall, the falls long and the style arms short and tucked away on the inside of the standards. 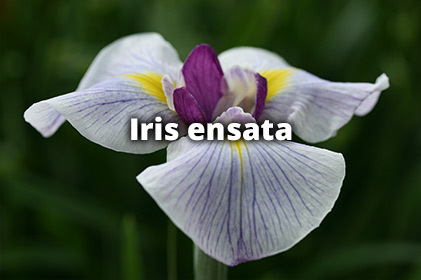 On a Japanese Iris – or Iris ensata the falls are wide, sometimes reaching 30cm in width and the standards are very short. When does each species bloom? 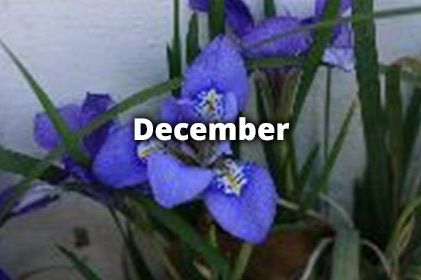 It is often said that Irises have a short flowering period. 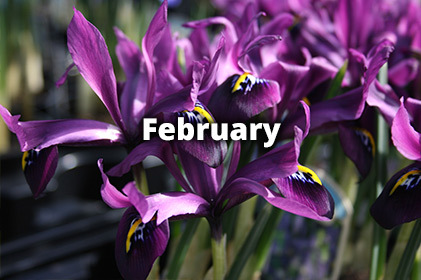 However if chosen selectively and correctly it is possible to have a species or variety of Iris in bloom in your garden every month of the year. 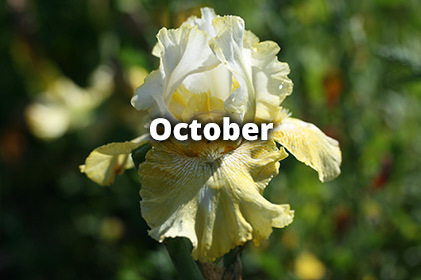 See the images below as to which species flower in which month. As with any plant do bear in mind that flowering is dependent on our climate and having the correct environment and care for that plant. 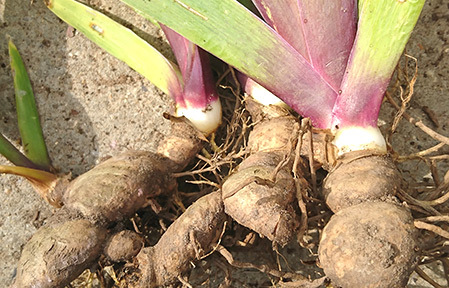 Which species should grow in my garden? 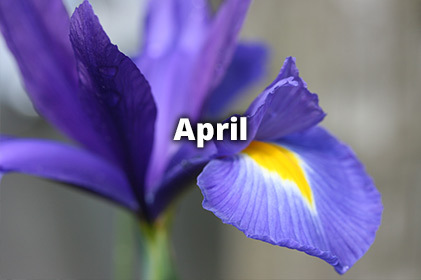 As with any plant it is important that you know which Iris will thrive in your garden. 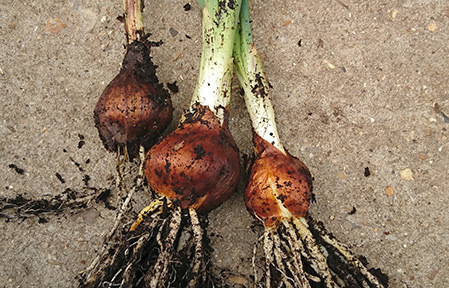 Although there are many variables to this point – below is a rough guide as to what to look out for when buying Irises in accordance to your garden. 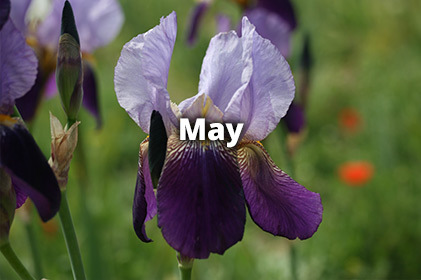 Our acres of Bearded Irises are open each spring from the end of May until mid-June for Iris enthusiasts to view and, if you wish, order plants to be lifted in the late summer for you. 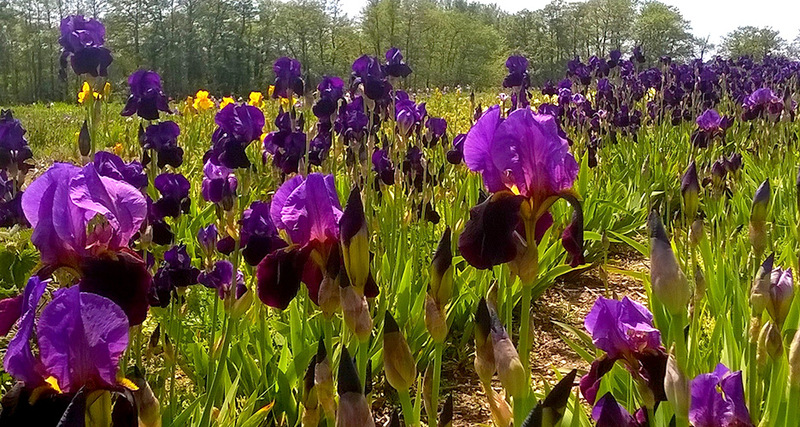 Each year there are over two acres of scent and colour to meander around at your leisure. 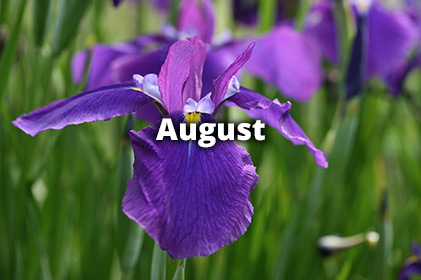 When possible we have staff attending the area to give advice and chat about our Irises. In 2015 an exclusive area of the fields was replanted in chronological order to display the differences in breeding between the 17th and 21st Centuries. 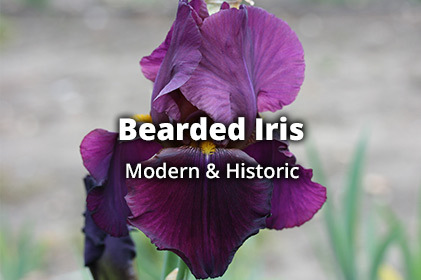 You can read more about our Historic Irises on our Bearded Iris page. 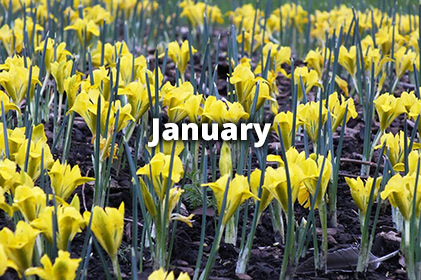 See our Events Page for this year’s dates and details. 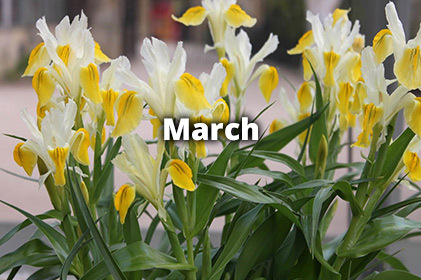 The opening times each year are weather dependent, for example a cold spring will mean the plants bloom later and a warm spring will encourage earlier flowering. Sadly severe rainfall and high winds can easily decimate our exposed fields but on majority of occasions we will still open the fields for those who have travelled to see them. 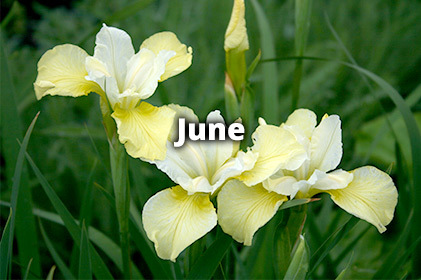 The dates usually run from the last weekend in May for 3 weeks into June. During these dates the fields are open from 10am-4pm everyday including weekends. Last entry is at 3.30pm. Entry is free and any donations made go to the NGS.